Here, the center table is displayed with six Hepplewhite chairs of the George III era. All are late 18th or earliest 19th century and of mahogany. H. 36″. The set of six, $2400. Table sold separately. 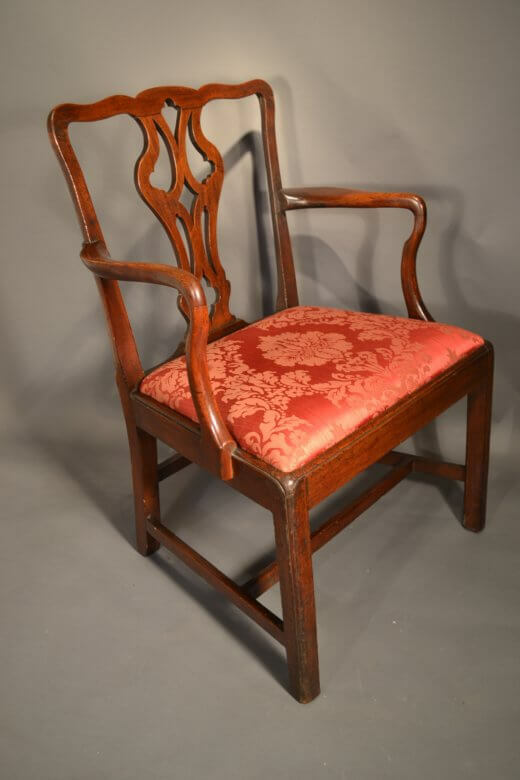 Early 18th century fiddle back Queen Anne armchair with a “shepherd’s crook” arm above shapely cabriole legs. English. 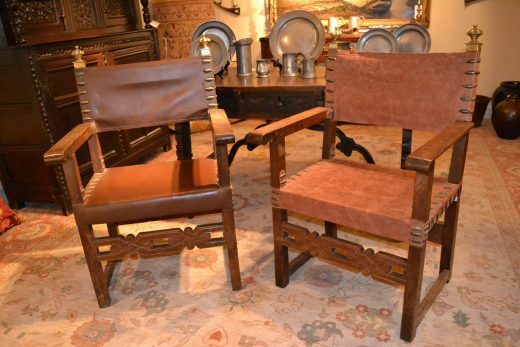 This chair has a lovely nut brown patina. Damask covered. H. 38″, w. 21″, d. 22″. Georgian Chippendale armchair from the 18th century, elegant in carved mahogany cabriole legs and carved arms. Carefully done old repairs. England. H. 37″, w. 26″, d. 23″. $650. 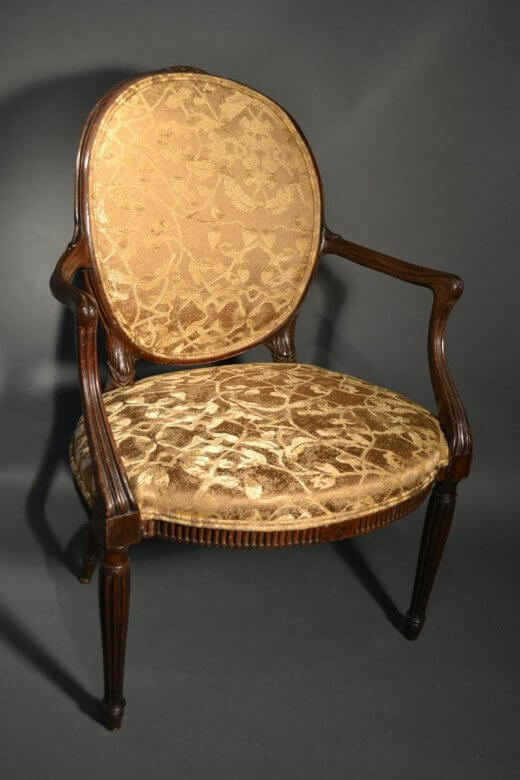 Chippendale armchair, 18th century. Mahogany with Gothic carving and pierced splat, height 39″, w. 28.5″, d.23″. This is a large and handsome armchair. $1200. 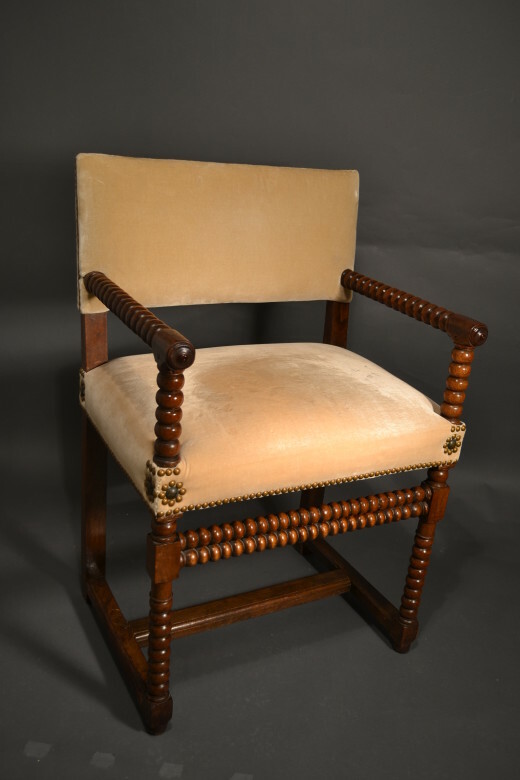 Continental provincial side chair in walnut with a cattail rush seat, late 18th century. A vertical pierced splat is above square tapered legs with tapered feet. A cousin to the yellow set is here in old decoration with craquelure. Arrowback form. Ca. 1800-1820. H. 34″, w. 17″, d. 18″. $125. 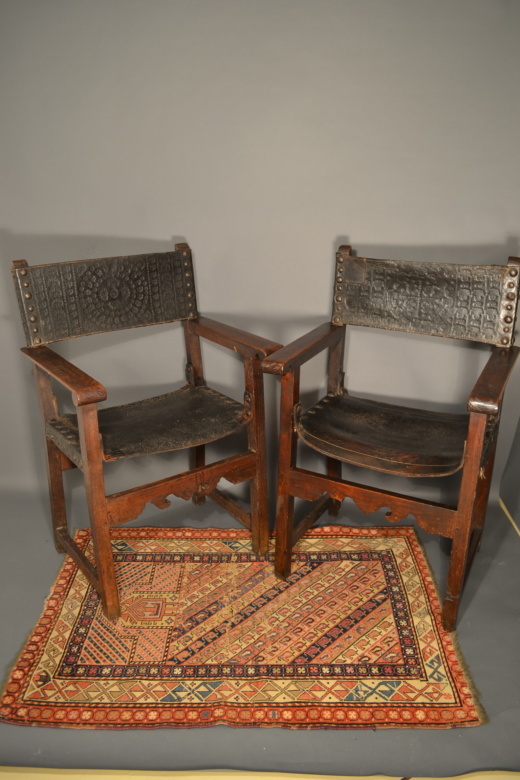 Massachusetts ball and claw foot side chair, circa 1760-90, with the so called “owl” back splat below a serpentine crest with carved ears. H. 37″, w. 27.5″, d. 21″. $840. 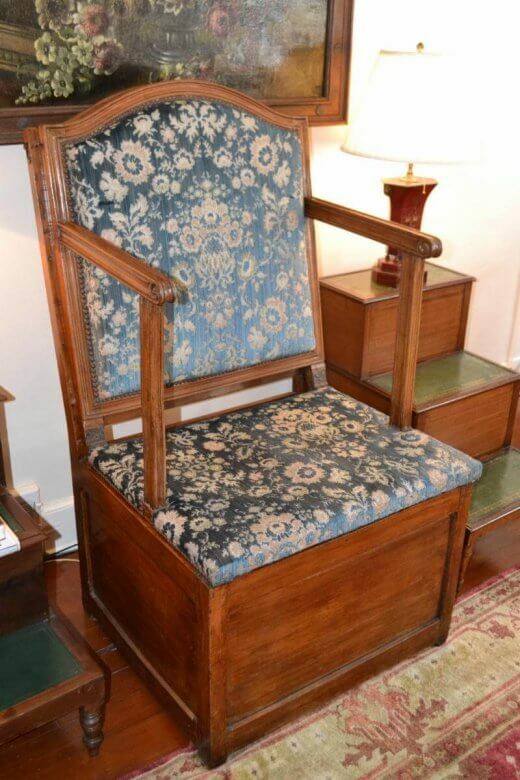 British Empire Armchair, Ca. 1810-30.. Reeding outlines the shaped crest over a splat with leafage and rosette carving. Scroll arms rise above saber legs. H. 34.5″, w. 21.5″, d. 21″. $1050. English Charles II armchair, ca. 1680. English mahogany George III armchair fluted and leafage carved legs in the French taste. Fresh Jim Thompson silk cover. 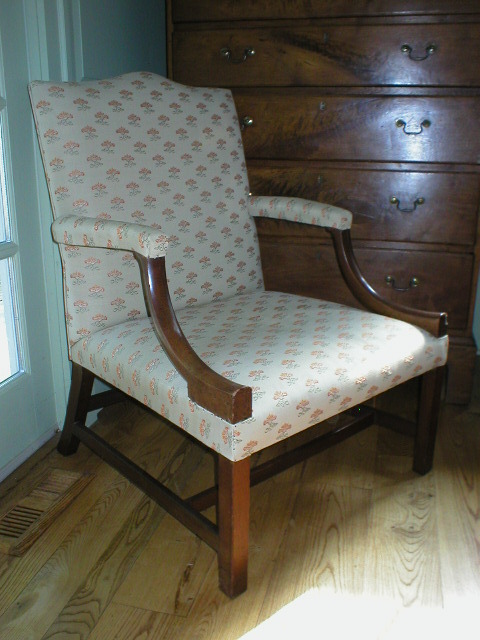 English lolling or easy chair, ca. 1760. Mahogany primary wood. $1795.